Since it was founded in 1863, the ICRC has been working to protect and assist the victims of armed conflict and other situations of violence. It initially focused on wounded soldiers but over time it extended its activities to cover all victims of these events. In A Memory of Solferino, Henry Dunant suggested creating national relief societies, recognizable by their common emblem, and an international treaty to protect the wounded on the battlefield. A permanent committee was established in Geneva to further Dunant’s ideas. 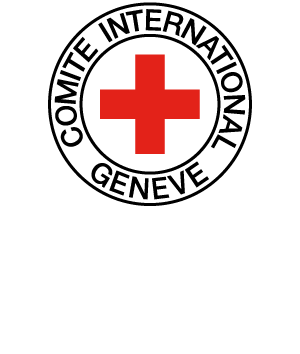 A red cross on a white ground [reversing the colours of the Swiss flag and paying tribute to the country, as host of the Geneva International Conference of 1863] was chosen as the emblem and the committee went on to adopt the name of the International Committee of the Red Cross. Initially, it was not the ICRC’s intention to take action on the ground. However, the National Societies of countries in conflict – viewed as too close to the authorities – asked the ICRC to send its own relief workers, believing that humanitarian work in times of conflict needed to offer guarantees of neutrality and independence acceptable to all parties, which only the ICRC could do. The ICRC therefore had to build up operational activities very quickly within a framework of neutrality and independence, working on both sides of the battlefield. Formal recognition of this function came later, when the Geneva Conventions explicitly recognized the purely humanitarian and impartial nature of the ICRC’s activities, and gave the organization a special role in ensuring the faithful application of international humanitarian law. To be able to carry out its mission effectively, the ICRC needs to have the trust of all States, parties and people involved in a conflict or other situation of violence. This trust is based in particular on an awareness of the ICRC’s policies and practices. The ICRC gains people’s trust through continuity and predictability. Combining effectiveness and credibility irrespective of time, place or range of needs is a permanent challenge for the organization, because it must be able to prove it can be both pragmatic and creative. Within the framework of the ICRC’s clear strategy and priorities, its delegations in the field are thus given considerable autonomy to decide how best to help victims of conflict and other situations of violence. The raison d’être of the ICRC is to ensure respect, through its neutral and independent humanitarian work, for the lives, dignity and physical and mental well-being of victims of armed conflict and other situations of violence. All of the ICRC’s work is geared towards meeting this fundamental objective and strives to fulfil this ideal. The ICRC takes action to meet the needs of these people and in accordance with their rights and the obligations incumbent upon the authorities. The ICRC’s work developed along two lines. The first of these is operational, i.e. helping victims of armed conflict and other situations of violence. The second involves developing and promoting international humanitarian law and humanitarian principles. These two lines are inextricably linked because the first operates within the framework provided by the second, and the second draws on the experience of the first and facilitates the ICRC’s response to the needs identified. This dual nature thus reinforces the very identity of the ICRC and distinguishes it from other international humanitarian organizations, private or intergovernmental, which generally concentrate on just one of these two priorities. A key characteristic of the ICRC is that it was given a mandate (or rather mandates) by the States party to the Geneva Conventions to help victims of armed conflict. Its work is therefore firmly rooted in public international law. In other situations of violence, the ICRC derives its mandate from the Statutes of the Movement. The main legal basis for the ICRC’s work is to be found in international humanitarian law. The Statutes of the International Red Cross and Red Crescent Movement (the Movement) and resolutions of the International Conference of the Red Cross and Red Crescent and the Council of Delegates underscore the legitimacy of the ICRC’s work. International humanitarian law, like the Statutes of the Movement, confirms a historical tradition of ICRC action which predates its successive codifications. States gave the ICRC the responsibility of monitoring the faithful application of international humanitarian law. As the guardian of humanitarian law, the ICRC takes measures to ensure respect for, to promote, to reaffirm and even to clarify and develop this body of law. The organization is particularly concerned about possible erosion of international humanitarian law and takes bilateral, multilateral or public steps to promote respect for and development of the law. The ICRC generally cites international humanitarian law in reference to its activities. It nevertheless reserves the right to cite other bodies of law and other international standards protecting people, in particular international human rights law, whenever it deems it necessary. The ICRC has developed several policy documents that draw on its long experience. These texts serve as a guide for its actions and aim to give the organization long-term coherence, which in turn gives the ICRC added predictability and credibility when exercising its mandate. Another characteristic of the ICRC is its membership in a Movement – a Movement which it initiated. The ICRC is one component, and National Societies and the International Federation of Red Cross and Red Crescent Societies (the Federation) are the others. This link with the Movement is reinforced by the similarity of tasks of all Movement components and by the use of common emblems. its protection and assistance (Preamble to the Statutes of the Movement). It may be added that by carrying out its activities throughout the world, the Movement contributes to the establishment of a lasting peace. The mission of the National Societies is to carry out humanitarian activities within their own countries, particularly in the role of auxiliaries to the public authorities in the humanitarian field. The ICRC undertakes procedures to recognize National Societies on the basis of criteria set out in the Statutes of the Movement. The recognition of National Societies makes them full members of the Movement and eligible to become members of the Federation. The ICRC cooperates with them in matters of common concern, such as their preparation for action in times of armed conflict, tracing and reuniting families and spreading knowledge of international humanitarian law and the Movement’s Fundamental Principles. In armed conflict and other situations of violence, the ICRC is responsible for helping them boost their capacity to meet the increased need for humanitarian aid. Often it is thanks to the National Societies’ presence, resources, local knowledge and motivation that the ICRC can successfully carry out its work in the field. National Societies may also be involved in international operations via the ICRC, the Federation or the National Society of the country in question. The ICRC benefits from a unique worldwide network made up of all the National Societies. Cooperation and coordination within the Movement help make the best possible use of the capacity of all members. In accordance with the Movement’s agreements and rules, the ICRC directs and coordinates international relief activities in “international and non-international armed conflicts” and in situations of “internal strife and their direct results.” It also directs and coordinates activities aiming to restore family links in any situation requiring an international emergency response. coordinating the international operations of the Movement’s components. Humanity is the supreme principle. It is based on respect for the human being and encapsulates the ideals and aims of the Movement. It is the main driving force behind the ICRC’s work. Impartiality, a principle that rejects any form of discrimination, calls for equal treatment for people in distress, according to their needs. It enables the ICRC to prioritize its activities on the basis of the degree of urgency and the types of needs of those affected. Neutrality enables the ICRC to keep everyone’s trust by not taking sides in hostilities or controversies of a political, racial, religious or ideological nature. Neutrality does not mean indifference to suffering, acceptance of war or quiescence in the face of inhumanity; rather, it means not engaging in controversies that divide peoples. The ICRC’s work benefits from this principle because it enables the organization to make more contacts and gain access to those affected. The ICRC’s independence is structural: the Committee’s members are all of the same nationality and they are recruited by co-optation. The ICRC is therefore independent of national and international politics, interest groups, and any other entity that may have some connection with a situation of violence. This gives the ICRC the autonomy it needs to accomplish the exclusively humanitarian task entrusted to it with complete impartiality and neutrality. The ICRC’s endeavour to help the victims of international armed conflict and non-international armed conflict is at the heart of its mission. The ICRC offers its services on the basis of international humanitarian law, and after taking due account of the existing or foreseeable need for humanitarian aid. In other situations of violence, the ICRC offers its services if the seriousness of unmet needs and the urgency of the situation warrant such a step. It also considers whether it can do more than others owing to its status as a specifically neutral and independent organization and to its experience. In these situations, its offer of services is based not on international humanitarian law but on the Statutes of the Movement. If a natural or technological disaster or a pandemic occurs in an area where the ICRC has an operational presence, meaning it can deploy quickly and make a significant contribution, the organization steps in with its unique capabilities, to the extent it is able and in cooperation with the Movement. It generally takes action during the emergency phase only. In other situations, it makes its own unique contribution to the efforts of all humanitarian agencies, especially within its fields of expertise such as tracing work and disseminating international humanitarian law and the Fundamental Principles. These are all fields in which it has an explicit mandate. the legal basis for its work: the ICRC endeavours to take action in situations where international humanitarian law is applicable and carefully considers the advisability of taking action in the context of the direct results of these situations and in other situations of violence not covered by international humanitarian law (internal disturbances and tensions). In all cases, it tailors its action according to the criteria set out above. Operational considerations and constraints (such as impact on other activities, whether the ICRC has been invited to take action, and security issues) can be added to these criteria. For any action to be taken, a comprehensive analysis of the situation, the actors present, the stakes and the dynamics must be carried out. This enables the ICRC to identify the people adversely affected and their needs. It requires a clear understanding of the problems’ causes and a good knowledge of local facilities, their capabilities and their potential. The ICRC endeavours to obtain an overall perspective of an issue of humanitarian concern by looking at all the aspects and at the different responses that would be suitable. A number of factors should be considered: social, economic, political, cultural, security, religious and ethnic, among others. Analysis should also take account of the interdependence of local, regional and international factors affecting a situation of conflict or any other situation of violence. Analysis provides a basis for deciding on an overall strategy, with specific priorities and objectives, and determines the types of problem and/or the categories of needs on which the ICRC is going to concentrate its efforts and its resources. It is then a matter of developing a strategy aimed not only at addressing the direct consequences of problems, but also – as far as possible within the framework of neutral and independent humanitarian activities – their origins and causes. In so doing, the ICRC must first exploit its strong points and the opportunities offered by the local environment, and second try to minimize its weaknesses and neutralize or circumvent external difficulties. Because of the complementary role played by partners in and outside the Movement, the strong and weak points of these partners must also be taken into account in strategy discussions. Depending on what needs to be done, the various activities either start simultaneously or consecutively. As described in the ICRC’s mission statement, the organization combines four approaches in its overall strategy after analysing a situation in order to, directly or indirectly, in the short, medium or long term, ensure respect for the lives, dignity, and physical and mental well-being of victims of armed conflict and other situations of violence. In order to preserve the lives, security, dignity, and physical and mental well-being of victims of armed conflict and other situations of violence, this approach aims to ensure that authorities and other actors fulfil their obligations and uphold the rights of individuals. It also tries to prevent or put an end to actual or probable violations of international humanitarian law or other bodies of law or fundamental rules protecting people in these situations. It focuses first on the causes or circumstances of violations, addressing those responsible and those who can influence them, and second on the consequences of violations. The aim of assistance is to preserve life and/or restore the dignity of individuals or communities adversely affected by armed conflict or other situations of violence. Assistance activities principally address the consequences of violations of international humanitarian law and other relevant bodies of law. They may also tackle the causes and circumstances of these violations by reducing exposure to risk. Assistance covers the unmet essential needs of individuals and/or communities as determined by the social and cultural environment. These needs vary, but responses mainly address issues relating to health, water, sanitation, shelter and economic security by providing goods and services, supporting existing facilities and services and encouraging the authorities and others to assume their responsibilities. The aim of cooperation is to increase the operational capacities of National Societies, above all in countries affected or likely to be affected by armed conflict or other situations of violence. A further aim is to increase the ICRC’s capacity to interact with National Societies and work in partnership with them. The cooperation approach aims to optimize the humanitarian work of Movement components by making the best use of complementary mandates and skills in operational matters such as protection, assistance and prevention. It involves drawing up and implementing the policies of the Movement that are adopted during its statutory meetings and strengthening the capacities of the National Societies, helping them to adhere at all times to the Fundamental Principles. The aim of prevention is to foster an environment that is conducive to respect for the lives and dignity of those who may be adversely affected by armed conflict and other situations of violence, and that favours the work of the ICRC. This approach aims to prevent suffering by influencing those who have a direct or indirect impact on the fate of people affected by these situations. This generally implies a medium or long-term perspective. In particular, the prevention approach involves communicating, developing, clarifying and promoting the implementation of international humanitarian law and other applicable bodies of law, and promoting acceptance of the ICRC’s work. Each activity responds, in humanitarian terms, to a specific problem or to common problems. Each approach uses its own implementation strategies. These strategies combine different activities from the four programmes detailed in the annual planning tool: protection, assistance, prevention and cooperation. Thus, a protection strategy could also include activities from the assistance, prevention or cooperation programmes. Digging wells in a camp for the displaced may be one aspect of an assistance programme and may be intended to tackle the lack of water. It would therefore form part of the assistance approach. However, this activity could equally be intended primarily to protect people exposed to violence while looking for water outside the camp. It therefore also forms part of the protection approach. Combining activities is particularly important. The ICRC is duty bound to use all means at its disposal, according to each situation and to the priorities and objectives identified. Furthermore, the different approaches are of mutual assistance: for example, ICRC staff may receive information on violations of international humanitarian law while carrying out assistance work and this can then provide the grounds for making representations to the authorities, which is part of the protection approach. In conflict situations, assistance activities often take on a protection nature, and vice versa, to the point of being inextricably linked. It was after all to the ICRC that the Movement assigned the task of endeavouring at all times to protect and assist victims of these events. Combining activities is often supported by what the ICRC calls its humanitarian diplomacy. The aim is to influence – and if necessary modify – the political choices of States, armed groups, and international and supranational organizations in order to enhance compliance with international humanitarian law and to promote the ICRC’s major objectives. To that end, the ICRC encourages the various services and hierarchical levels at headquarters and its network of delegations to increase dialogue with these entities on general issues of concern to it. The essential message of humanitarian diplomacy is the same for all delegations, whatever their operational priorities. Both from headquarters and in the field, the ICRC coordinates its activities with other humanitarian organizations in order to improve the lives, directly or indirectly, of victims of armed conflict and other situations of violence. Coordination is only possible as far as the strictly humanitarian approach of the ICRC, as an impartial, neutral and independent organization, allows. Authority cannot be ceded to any other entity or group of entities. In keeping with the emphasis it places on complementary roles, the ICRC takes into account its partners’ (in and outside the Movement) strong and weak points and their fields of expertise in its strategic discussions. The ICRC’s strategy is based on combining “modes of action” and on selecting the appropriate activities depending on the approach (or approaches) chosen. Modes of action are the methods or means used to persuade authorities to fulfil their obligations towards individuals or entire populations. The ICRC’s modes of action are: raising awareness of responsibility (persuasion, mobilization, denunciation), support, and substitution (direct provision of services). The ICRC does not limit itself to any one of them; on the contrary, it combines them, striking a balance between them either simultaneously or consecutively. Persuasion aims to convince someone to do something which falls within his area of responsibility or competence, through bilateral confidential dialogue. This is traditionally the ICRC’s preferred mode of action. The organization may also seek outside support, through mobilization of influential third parties (e.g. States, regional organizations, private companies, members of civil society or religious groups who have a good relationship with the authorities in question). The ICRC chooses such third parties with care, contacting only those who it thinks will be able to respect the confidential nature of the information that they receive. Faced with an authority which has chosen to neglect or deliberately violate its obligations, persuasion (even with the mobilization of support from influential third parties) may not be effective. In certain circumstances, therefore, the ICRC may decide to break with its tradition of confidentiality and resort to public denunciation. This mode of action is used only as part of the protection approach, which focuses on the imminent or established violation of a rule protecting individuals. If authorities are unable to take action, the ICRC provides support where necessary to enable them to assume their responsibilities. When the competent authorities do not take or are unable to take appropriate measures (owing to lack of means, or unwillingness, or when no such authorities exist), the ICRC takes direct action in their place (substitution) to meet the needs of the people or populations affected. If the situation is critical, the ICRC acts first and then speaks to the authorities to persuade them to take appropriate measures or to help them examine possible solutions. The ICRC’s humanitarian work is impartial, neutral and independent. Experience has taught it that this approach offers the best chance of being accepted during an armed conflict or other situation of violence, in particular given the risk that actors at a local, regional or international level may become polarized or radicalized. The integration of political, military and humanitarian means as recommended by some States is therefore a major source of difficulty for the ICRC. The organization insists on the need to avoid a blurring of lines while still allowing for the possibility of complementary action. Many of the ICRC’s tasks are carried out close to the people concerned – in the field, in other words, where the organization has better access to them. The individuals and communities concerned must be consulted in order to better establish their needs and interests, and they should be associated with the action taken. Their value systems, their specific vulnerabilities and the way they perceive their needs must all be taken into consideration. The ICRC favours a participatory approach aimed at building local capacities. The ICRC has a universal vocation. Its work is not limited to certain places, or to certain types of people (such as children or refugees). With a presence in numerous regions of the world, the ICRC has an overall vision that enables it to undertake comprehensive analysis. The organization must have a coherent approach everywhere it works if it is to appear transparent and predictable. However, this does not mean that ICRC activities are uniform. Taking the context into consideration is still a key aspect of analysis and strategy. The ICRC gets involved during the emergency phase and stays for as long as is necessary. However, the organization is careful to ensure that its involvement does not dissuade the authorities from fully assuming their responsibilities or the communities affected from relying on their usual coping mechanisms. It also takes care not to get in the way of other organizations and actors who are building up civil society’s resources. Measures are taken so that the ICRC is able to leave the scene in an appropriate manner when the time comes. The ICRC engages in dialogue with all those involved in an armed conflict or other situation of violence who may have some influence on its course, whether they are recognized by the community of States or not. No one is excluded, not only because engaging in dialogue does not equate to formal recognition but also because multiple and varied contacts are essential for assessing a situation and for guaranteeing the safety of ICRC activities and personnel. The ICRC maintains a network of contacts locally, regionally and internationally. In the event of violations of international humanitarian law or other bodies of law or other fundamental rules protecting people in situations of violence, the ICRC attempts to influence the perpetrators. In the first instance, it will take bilateral confidential action. When it comes to confidential action and to communication with the public, the ICRC wants to promote transparency and present itself as an organization acting in a credible and predictable manner. Moreover, reflecting the interest that States have in the unique status and role of the ICRC, the organization’s right to abstain from giving evidence has been recognized by several sources of international law. While doing what it can to help needy people, the ICRC also takes into consideration the efforts of others since there is a wide variety of agencies in the humanitarian world. The main objective of interacting with other providers of aid is to make the best use of complementary efforts in order to meet needs. Interacting should provide the basis for building on the skills of each and hence for obtaining the best possible results, then continue to respond to needs in the long term through programme handover. Interaction should therefore be based on transparency, equality, effective operational capacities and a complementary relationship between organizations. It starts with – but is not limited to – the Movement and its universal network. Indeed, the other components emerge as the ICRC’s natural and preferred partners, with whom it would like to develop and strengthen a common identity and vision. Through its work, the ICRC bears a certain responsibility for the individuals or entire populations it endeavours to protect and assist. Its fundamental concern is to have a genuinely positive impact on their lives. It has set up a framework of accountability and tools for planning, monitoring and assessing its actions; these help it examine its performance and results and hence constantly improve the quality of its work. The ICRC evaluates all of its activities using various criteria and indicators, including thresholds of success and failure, so that it can become more effective and find the most appropriate way of answering to beneficiaries and donors. Its work is regularly assessed, and reoriented if necessary. BUGNION François, “The International Committee of the Red Cross and the Development of International Humanitarian Law”, in Chicago Journal of International Law, Vol. 5/1, Summer 2004, 18 pp. De MAIO Jacques, “L’action de la Croix-Rouge internationale”, in Les nouvelles d’Afghanistan, No. 124, February 2009. DÖRMANN Knut & MARESCA Louis, “The International Committee of the Red Cross and its Contribution to the Development of International Humanitarian Law in Specialized Instruments”, in Chicago Journal of International Law, Vol. 5/1, Summer 2004, 12 pp. FORSYTHE David P., The Humanitarians: The International Committee of the Red Cross, Cambridge, CUP, 2005, 356 pp. FORSYTHE David P., “The International Committee of the Red Cross and International Humanitarian Law”, in Humanitäres Völkerrecht, Vol. 2, 2003, pp. 64-77. FORSYTHE David P., “The ICRC: a Unique Humanitarian Protagonist”, in IRRC, Vol. 89, No. 865, March 2007, pp. 63-96. FREYMOND Jacques, WILLEMIN Georges & HEACOCK Roger, The International Committee of the Red Cross, The Hague, M. Nijhoff, 1984, 209 pp. GAZZINI Tarcisio, “A Unique Non-State Actor: the International Committee of the Red Cross”, in Human Rights and International Legal Discourse, Vol. 4, No. 1, 2010, pp. 32-46. HAROUEL Véronique, Histoire de la Croix-Rouge, Paris, PUF, Que sais-je ? 1999, 127 pp. HEINSCH Robert, “The International Committee of the Red Cross and the Challenges of Today’s Armed Conflicts”, in GIEGERICH Thomas (ed. ), A Wiser Century? : Judicial Dispute Settlement, Disarmament and the Laws of War 100 Years After the Second Hague Peace Conference, Berlin, Duncker and Humblot, 2009, pp. 393-415. HUTCHINSON John F., Champions of Charity: War and the Rise of the Red Cross, Colorado and Oxford, Westview Press, 1996, 448 pp. PICTET Jean, Une Institution unique en son genre : Le Comité international de la Croix-Rouge, Geneva, Henry-Dunant Institute, Paris, Pedone, 1985, 111 pp. BOISSIER Pierre, History of the International Committee of the Red Cross: From Solferino to Tsushima, Geneva, Henry-Dunant Institute, 1978, 512 pp. BUGNION François, “From the End of the Second World War to the Dawn of the Third Millenium – The Activities of the International Committee of the Red Cross During the Cold War and its Aftermath: 1945-1995”, in IRRC, No. 305, March-April 1995, pp. 207-224. BUGNION François, “The Composition of the International Committee of the Red Cross”, in IRRC, No. 307, July-August 1995, pp. 427-446. CONNOLLY Sean, The International Red Cross, Mankato (Minnesota), Smart Apple Media, 2009, 46 pp. DURAND André, History of the International Committee of the Red Cross: From Sarajevo to Hiroshima, Geneva, Henry-Dunant Institute, 1978, 675 pp. FREYMOND Jacques, Guerres, révolutions, Croix-Rouge: Réflexions sur le rôle du Comité international de la Croix-Rouge, Geneva, I.U.H.E.I., 1976, 222 pp. MOOREHEAD Caroline, Dunant’s Dream: War, Switzerland and the History of the Red Cross, London, Harper-Collins, 1998, 780 pp. PROVOST René, “The International Committee of the Red Widget? : the Diversity Debate and International Humanitarian Law”, in Israel Law Review, March 2007, 40 pp. In making Henry Dunant’s ideas a reality, and in particular, promoting the adoption of a solemn commitment by States to help and care for wounded soldiers without distinction, the ICRC was at the forefront of the development of international humanitarian law. Its fieldwork was later given a legal basis through mandates contained in international humanitarian law and in resolutions adopted at meetings of the International Conference of the Red Cross and Red Crescent. HAUG Hans, Humanity for all: The International Red Cross and Red Crescent Movement, Geneva/Bern/Stuttgart/Vienna, Henry-Dunant Institute/Paul Haupt Publishers, 1993, 682 pp. PERRUCHOUD Richard, “Resolutions of International Red Cross Conferences and their Implementation by the National Societies”, in IRRC, No. 227, 1982, pp. 88-96. Originally created for service in time of armed conflicts, as auxiliaries to the military medical services, National Red Cross and Red Crescent Societies today carry out a wide range of activities in situations of both war and peace. The activities carried out by the 186 National Societies are as diverse as the countries they serve. Their wartime role to support armed forces medical units remains essential but now represents just one of many aspects of their work. Other National Society activities include: setting up and managing hospitals; training medical personnel; organizing blood donor clinics; assisting the handicapped, the elderly and the needy; providing ambulance services and road, sea and mountain rescue services. In addition, many National Societies are also responsible for emergency relief in the event of man-made or natural disasters (technological catastrophes, floods, earthquakes, tidal waves, etc.). More recently, many National Societies have also considerably increased their involvement in new areas: relief to refugees and displaced persons; assistance to victims of epidemics (HIV/AIDS); and dissemination and implementation of International Humanitarian Law (IHL). Each National Society must fulfil strict conditions in order to achieve recognition by the ICRC and thus become a member of the International Red Cross and Red Crescent Movement. In particular, it must be recognized by its own government as a voluntary aid society, be constituted on the territory of a State party to the Geneva Conventions, use one of the recognized emblems and respect the Fundamental Principles of the Red Cross and Red Crescent Movement. LANORD Christophe, “The Legal Status of National Red Cross and Red Crescent Societies”, in IRRC, No. 840, December 2000, pp. 1053-1077. LANORD Christophe, Le statut juridique des sociétés nationales de la Croix-Rouge et du Croissant-Rouge, Geneva, Thoiras, Éditions de la Chapelle, 1999, 545 pp. GAUTIER Philippe, “ONG et personnalité internationale : à propos de l’accord conclu le 29 novembre 1996 entre la Suisse et la Fédération internationale des Sociétés de la Croix-Rouge et du Croissant-Rouge”, in RBDI, 1997, pp. 172-189. ARZOUMANIAN Naïri, “Le suivi de XXVIIe Conférence internationale de la Croix-Rouge et du Croissant-Rouge”, in IRRC, No. 845, March 2002, pp. 221-235. PERRUCHOUD Richard, Les Résolutions des Conférences internationales de la Croix-Rouge, Geneva, Henry-Dunant Institute, 1979, 470 pp. SANDOZ Yves, “Conférence internationale de la Croix-Rouge et du Croissant-Rouge : un plan d’action pour l’humanitaire”, in IRRC, No. 836, December 1999, pp. 819-829. DOMINICÉ Christian, “La personnalité juridique internationale du CICR”, in Studies and Essays on International Humanitarian Law and Red Cross Principles in Honour of Jean Pictet, Geneva, ICRC, The Hague, M. Nijhoff, 1984, pp. 663-673. KOENIG Christian, “Observer Status for the International Committee of the Red Cross at the United Nations: A Legal Viewpoint”, in IRRC, No. 280, January-February 1991, pp. 37-48. LORITE ESCORIHUELA Alejandro, “Le Comité international de la Croix-Rouge comme organisation sui generis ? Remarques sur la personnalité juridique du CICR”, in RGDIP, Vol.3, 2001, pp. 581-616. REUTER Paul, “La personnalité juridique internationale du Comité international de la Croix-Rouge”, in Studies and Essays on International Humanitarian Law and Red Cross Principles in Honour of Jean Pictet, Geneva, ICRC, The Hague, M. Nijhoff, 1984, pp. 783-791. BARBERIS Julio A., “El Comité internacional de la Cruz Roja como sujeto del derecho de gentes”, in Studies and Essays on International Humanitarian Law and Red Cross Principles in Honour of Jean Pictet, Geneva, ICRC, The Hague, M. Nijhoff, 1984, pp. 635-641. BARILE Guiseppe, “Caractère du Comité international de la Croix-Rouge”, in Rivista di Diritto Internazionale, Vol. 62, 1979, pp. 111-115. DISTEFANO Giovanni, “Le CICR et l’immunité de juridiction en droit international contemporain : fragments d’investigation autour d’une notion centrale de l’organisation internationale”, in Revue suisse de droit international et de droit européen, Vol. 3, 2002, pp. 355-370. DOMINICÉ Christian, “L’accord de siège conclu par le Comité international de la Croix-Rouge avec la Suisse”, in RGDIP, Vol. 99/1, January-April 1995, pp. 5-36. SOMMARUGA Cornelio, “Swiss Neutrality, ICRC Neutrality: Are They Indissociable? An Independence Worth Protecting”, in IRRC, No. 288, May-June 1992, pp. 264-273. On the general level, the idea of neutrality pre-supposes two elements: an attitude of abstention and the existence of persons or groups who oppose one another. Although neutrality defines the attitude of the Red Cross towards belligerents and ideologies, it never determines its behaviour towards the human beings who suffer because, in the first place, the wounded do not fight one another. And, above all, the essential characteristic of the Red Cross is to act and not to remain passive. Neutrality and impartiality have often been confused with one another because both imply the existence of groups or theories in opposition and because both call for a certain degree of reserve. The two ideas are nevertheless very different, for the neutral man refuses to make a judgement whereas the one who is impartial judges a situation in accordance with pre-established rules. Neutrality demands real self-control; it is indeed a form of discipline we impose upon ourselves, a brake applied to the impulsive urges of our feelings. A man who follows this arduous path will discover that it is rare in a controversy to find that one party is completely right and the other completely wrong. He will sense the futility of the reasons commonly invokes to launch one nation into war against another. In this respect, it is reasonable to say that neutrality constitutes a first step towards peace. While neutrality, like impartiality, is often misunderstood and rejected, this happens because there are so many who want to be both judge and party, without recourse to any universally valid criterion. Each side believes, rather naively, that his cause is the only just one; that refusal to join it is an offence against truth and justice. FORSYTHE David P. & RIEFFER-FLANAGAN Ann J., The International Committee of the Red Cross: a Neutral Humanitarian Actor, Abingdon, New York, Routledge, 2007, 122 pp. HARROFF-TAVEL Marion, “Neutrality and Impartiality: The Importance of these Principles for the International Red Cross and Red Crescent Movement”, in IRRC, No. 273, November-December 1989, pp. 536-552. HENTSCH Thierry, Face au blocus : La Croix-Rouge internationale dans le Nigéria en guerre (1967-1970), Geneva, Institut universitaire des hautes études internationales, 1973, 307 pp. HUBER Max, Red Cross and Neutrality, Geneva, ICRC, 1936, 11 pp. KALSHOVEN Frits, “Impartiality and Neutrality in Humanitarian Law and Practice”, in IRRC, No. 273, November-December 1989, pp. 516-535. KU Charlotte & CACERES BRUN Joaquin, “Neutrality and the ICRC Contribution to Humanitarian Action”, in International Peacekeeping, Vol. 10/1, Spring 2003, pp. 56-72. PICTET Jean, The Fundamental Principles of the Red Cross: Commentary, Geneva, Henry-Dunant Institute, 1979, 93 pp. JENATSCH Thomas, “The ICRC as a Humanitarian Mediator in the Colombian Conflict: Possibilities and Limits”, in IRRC, No. 323, June 1998, pp. 303-318. MINEAR Larry, “The Theory and Practice of Neutrality: Some Thoughts on the Tensions”, in IRRC, No. 833, 1999, pp. 63-72. GOLAY Jean-François, Le financement de l’aide humanitaire : L’exemple du Comité international de la Croix-Rouge, Berne, Peter Lang, 1990, 313 pp. DURAND Roger & MONNIER Philippe, “Vingt fois sur le métier... Notice sur la genèse d’Un Souvenir de Solférino et de ses rééditions”, in DUNANT Henry, Un Souvenir de Solférino, réédition Henry-Dunant Institute & Slatkine, Geneva, 1980, pp. I-XVII. Rapport du Comité international de la Croix-Rouge sur son activité pendant la Seconde Guerre Mondiale (1er septembre 1939 – 30 juin 1947), Vol. I, Activités de caractère général, 767 pp. ; Vol. II, L’Agence centrale des prisonniers de guerre, 344 pp. ; Vol. III, Actions de secours, 583 pp. ; Vol. IV, Annexes, 69 pp. ; Geneva, ICRC, 1948. L’action du CICR en faveur des prisonniers, Geneva, ICRC, May 1997, 35 pp. STIBBE Matthew, “The Internment of Civilians by Belligerent States during the First World War and the Response of the International Committee of the Red Cross”, in Journal of Contemporary History, Vol. 41, No. 1, 2006, pp. 5-19. AESCHLIMANN Alain, “Protection: the International Committee of the Red Cross Experience”, in O’FLAHERTY Michael (ed. ), The Human Rights Field Operation: Law, Theory and Practice, Aldershot; Burlington, Ashgate, 2007, pp. 223-241. ICRC, Enhancing Protection of Civilians in Armed Conflict and Other Situations of Violence, Geneva, ICRC, 2008, 80 pp. KRILL Françoise, “ICRC Action in Aid of Refugees”, in IRRC, No. 265, July-August 1988, pp. 328-350. FORSYTHE David, “The ICRC and Humanitarian Assistance – A Policy Analysis”, in IRRC, No. 314, September-October 1996, pp. 512-531. GRUNEWALD François, “From Prevention to Rehabilitation – Action, during and after the Crisis: The Experience of the ICRC in retrospect”, in IRRC, No. 306, May-June 1995, pp. 263-282. PERRIN Pierre, “The Impact of Humanitarian Aid on Conflict Development”, in IRRC, No. 323, June 1998, pp. 319-333. GRÜNEWALD François, “Food Aid: For or Against?”, in IRRC, No. 315, November-December 1996, pp. 588-608. ICRC, Primary Health-Care Services: Primary Level, Geneva, ICRC, May 2006, 26 pp. RUSSBACH Rémi, GRAY Robin C. & COUPLAND Robin M., “ICRC Surgical Activities”, in IRRC, No. 284, September-October 1991, pp. 483-490. GARACHON Alain, “Thirteen Years’ Experience in Fitting War Amputees with Artificial Limbs”, in IRRC, No. 284, September-October 1991, pp. 491-493. PERRIN Pierre, HELP: Public Health Course in the Management of Humanitarian Aid, Geneva, ICRC, 1999, 783 pp. DJUROVIC Gradimir, The Central Tracing Agency of the International Committee of the Red Cross: Activities of the ICRC for the Alleviation of Mental Suffering of War Victims, Geneva, Henry-Dunant Institute, 1981, 259 pp. DOGNY Violaine, “Cooperation between the ICRC and the Tracing Services of the Newly Independent States of the Former-Soviet Union”, in IRRC, No. 323, June 1998, pp. 205-214. NOWAK Manfred, “Disappearances in Bosnia-Herzegovina”, in O’FLAHERTY Michael, Post-war Protection of Human Rights in Bosnia and Herzegovina, The Hague, M. Nijhoff, 1998, pp. 107-121. SASSÒLI Marco & TOUGAS Marie-Louise, “The ICRC and the Missing”, in IRRC, No. 848, December 2002, pp. 727-750. SCHREYER Thierry, “L’action de l’Agence centrale de recherches du CICR dans les Balkans durant la crise des réfugiés kosovars”, in IRRC, No. 837, March 2000, pp. 49-65. COLASSIS Laurent, “The Role of the International Committee of the Red Cross in Stability Operations in Iraq”, in IYHR, Vol. 40, 2010, pp. 183-202. HARROFF-TAVEL Marion, “Action Taken by the International Committee of the Red Cross in Situations of Internal Violence”, in IRRC, No. 294, May-June 1993, pp. 195-220. MOREILLON Jacques, Le Comité international de la Croix-Rouge et la protection des détenus politiques, Geneva, Henry-Dunant Institute, Lausanne, Éditions L’Age d’Homme, 1973, 303 pp. SINNER Philippe de & REYES Hernan, “Activités du CICR en matière de visites aux personnes privées de liberté : une contribution à la lutte contre la torture”, in CASSESE Antonio (ed. ), The International Fight against Torture, Baden-Baden, Nomos, 1991, pp. 153-171. ICRC Action on behalf of Prisoners, Geneva, ICRC, May 1997, 35 pp. MOREILLON Jacques, “International Solidarity and Protection of Political Detainees”, in IRRC, No. 222, May 1981, pp. 123-130. “The International Committee of the Red Cross and Torture”, in IRRC, No. 189, December 1976, pp. 610-616. CARON Dominique, “Le rôle du Comité international de la Croix-Rouge dans la mise en œuvre du droit international humanitaire”, in Études internationales, Vol. 72/3, 1999, pp. 87-112. National Implementation of International Humanitarian Law 2002-2003 Biennal Report, Geneva, ICRC, 2004, 40 pp. BOUVIER Antoine A. & SAMS Katie, “Teaching International Humanitarian Law in Universities: the Contribution of the International Committee of the Red Cross”, in Yearbook of International Humanitarian Law, Vol. 5, 2002, pp. 381-393. CHOPARD Jean-Luc, “Dissemination of the Humanitarian Rules and Cooperation with National Red Cross and Red Crescent Societies for the Purpose of Prevention”, in IRRC, No. 305, May-June 1995, pp. 244-262. BAERISWYL Edith & AESCHLIMANN Alain, “Reflections on a Dissemination Operation in Burundi: Declaration for Standards of Humanitarian Conduct: Appeal for a Minimum Humanity in Situation of Internal Violence”, in IRRC, No. 319, July-August 1997, pp. 385-408. HARROFF-TAVEL Marion, “The Humanitarian Diplomacy of the International Committee of the Red Cross”, in African Yearbook on International Humanitarian Law, 2006, pp. 1-16. CHURCHILL Ewumbue-Monono & VON FLUE Carlo, “Promotion of International Humanitarian Law through Cooperation between the ICRC and the African Union”, in IRRC, No. 852, December 2003, pp. 749-773. PFANNER Tony, “Cooperation between Truth Commissions and the International Committee of the Red Cross”, in IRRC, Vol. 88, No. 862, June 2006, pp. 363-373. BUGNION François, “Red Cross Law”, in IRRC, No. 308, September-October 1995, pp. 491-519. PFANNER Toni, “Le rôle du Comité international de la Croix-Rouge dans la mise en œuvre du droit international humanitaire”, in Law in Humanitarian Crises: How Can International Humanitarian Law Be Made Effective in Armed Conflicts?, Luxembourg, Office for Official Publications of the European Communities, 1995, pp. 177-248. SANDOZ Yves, “Le droit d’initiative du Comité international de la Croix-Rouge”, in German Yearbook of International Law, Vol. 22, 1979, pp. 352-373. MINNIG Michel, “The Lima Hostage Crisis: Some Comments on the ICRC’s Role as a ‘Neutral Intermediary’”, in IRRC, No. 323, June 1998, pp. 293-302. SANDOZ Yves, “Attitude du CICR en cas de prise d’otages – Commentaire”, in IRRC, No. 846, June 2002, pp. 475-488. “ICRC Position on Hostage-Taking”, in IRRC, No. 846, June 2002, pp. 467-470. HOLLEUFER Gilbert, “Image of Humanitarian Crisis: Ethical Implications”, in IRRC, No. 315, November-December 1996, pp. 609-613. PICTET Jean, Le droit international et l’activité du Comité international de la Croix-Rouge en temps de guerre, Zürich, Orell Füssli, 1943, 34 pp. SANDOZ Yves, The International Committee of the Red Cross as Guardian of International Humanitarian Law, Geneva, ICRC, 1998, 32 pp. ZAMMIT BORDA Aldo (ed. ), International Humanitarian Law and the International Red Cross and Red Crescent Movement, Abingdon, New York, Routledge, 2010, 202 pp. ABI-SAAB Rosemary, “Human Rights and Humanitarian Law in Internal Conflicts”, in Human Rights and Humanitarian Law, The Hague, M. Nijhoff, 1997, pp. 107-123. SAYAPIN Serguey, “The International Committee of the Red Cross and International Human Rights Law”, in Human Rights Law Review, Vol. 9, No. 1, 2009, pp. 95-126. SOMMARUGA Cornelio, “Humanitarian Law and Human Rights in the Legal Arsenal of the ICRC”, in Human Rights and Humanitarian Law, The Hague, M. Nijhoff, 1997, pp. 125-133. SASSÒLI Marco, “La contribution du Comité international de la Croix-Rouge à la formation et à l’application des normes internationales”, in BETTATI Mario & DUPUY Pierre-Marie (eds), Les O.N.G. et le droit international, Paris, Éditions Economica, 1986, pp. 93-102. “Action by the International Committee of the Red Cross in the Event of Violations of International Humanitarian Law or Other Fundamental Rules Protecting Persons in Situations of Violence”, in IRRC, No. 858, July 2005, pp. 393-400. GASSER Hans-Peter, “Persuading States to Accept Humanitarian Treaties”, in IRRC, No. 320, September-October 1997, pp. 529-538. GASSER Hans-Peter, “Universal Acceptance of International Humanitarian Law – Promotional Activities of the ICRC”, in IRRC, No. 809, September-October 1994, pp. 491-505. “Conflict between Iraq and Iran: ICRC Appeal”, in IRRC, No. 235, July 1983, pp. 220-222. “Conflict between Iran and Iraq: Second Appeal”, in IRRC, No. 239, March 1984, pp. 113-115. HUBER Max, La pensée et l’action de la Croix-Rouge, Geneva, ICRC, 1954, 376 pp. MAURICE Frédéric, “Humanitarian Ambition”, in IRRC, No. 289, July-August 1992, pp. 363-372. TAUXE Jean-Daniel, “Faire mieux accepter le Comité international de la Croix-Rouge sur le terrain”, in IRRC, No. 833, March 1999, pp. 55-61. The ICRC takes all appropriate steps to put an end to violations of international humanitarian law or of other fundamental rules protecting the persons in situations of violence, or to prevent the occurrence of such violations. These steps are taken at various levels and through various modes of action, according to the nature and the extent of the violations. such publicity is in the interest of the persons or populations affected or threatened. Public condemnation means a public statement by the ICRC to the effect that acts which can be attributed to a party to a conflict – whether or not they are known to the public – constitute a violation of international humanitarian law. The ICRC only takes recourse to this measure when it has exhausted every other reasonable means, including, where appropriate, through third parties, of influencing the party responsible for a violation, at the most relevant levels, and where these means have not produced the desired result or where it is clear that the violation is part of a deliberate policy adopted by the party concerned. It is also the case when the authorities concerned are inaccessible and when the ICRC is convinced that public pressure is the only means of improving the situation in humanitarian terms. Such a measure is nevertheless exceptional and may be issued only if all of the four above-mentioned conditions have been met. In considering “the interest of the persons or populations affected or threatened,” the ICRC must take account not only of their short-term interests but also of their long-term interests and of the fact that its responsibility is greater when it witnesses particularly serious events of which the public is unaware. COSTAS TRASCASAS Milena, “El Comité internacional de la Cruz Roja y la regla de la confidencialidad como garantía funcional de su actuación: reflexiones al hilo de la decisión del Tribunal internacional para la antigua Yugoslavia de 27 julio de 1999”, in Revista Española de Derecho Militar, Vol. 76, July-December 2000, pp. 31-68. JEANNET Stéphane, “Testimony of ICRC Delegates before the International Criminal Court”, in IRRC, No. 840, December 2000, pp. 993-1000. JEANNET Stéphane, “Recognition of the ICRC’s Long-Standing Rule of Confidentiality: An Important Decision by the International Criminal Tribunal for the former Yugoslavia”, in IRRC, No. 838, June 2000, pp. 403-425. RONA Gabor, “The ICRC Privilege not to Testify: Confidentiality in Action”, in IRRC, No. 845, March 2002, pp. 207-219. “Action by the International Committee of the Red Cross in the Event of Breaches of International Humanitarian Law”, in IRRC, No. 222, March 1981, 8 pp. Here again, measures contrary to the laws of warfare must, like war itself, be considered by the International Committee primarily in the sense of existing facts, just as the doctor to whom the sick and wounded are brought turns his attention first to the injury or disease, without going into the human guilt which may be its cause. The Red Cross, above all a work of aid, must first strive to bring relief to these victims of war, as to all others. [...] [T]he International Red Cross Committee has no intention whatsoever of sitting in judgment. It is not a court of justice and, besides, it has not itself the means of ascertaining the facts, which alone would enable it to give a verdict. [...] It has a different part to play: it is a humanitarian institution. [A]s a general rule, the ICRC abstains from making public pronouncements about specific acts committed in violation of law and humanity and attributed to belligerents. [...] [I]n the quest for a result which would most of the time be illusory, demonstrations of this sort would compromise the charitable activity which the ICRC is in a position to carry out. One cannot be at one and the same time the champion of justice and of charity. One must choose, and the ICRC has long since chosen to be a defender of charity. SASSÒLI Marco, “The Victim-Oriented Approach of International Humanitarian Law and of the International Committee of the Red Cross (ICRC)”, in BASSIOUNI M. Cherif, International protection of victims (Nouvelles Études Pénales 1988), Toulouse, Erès, 1988, pp. 147-180.